Andrew McCabe used to be the deputy director of the FBI until he was fired by President Trump. Now almost a year later, McCabe is talking. 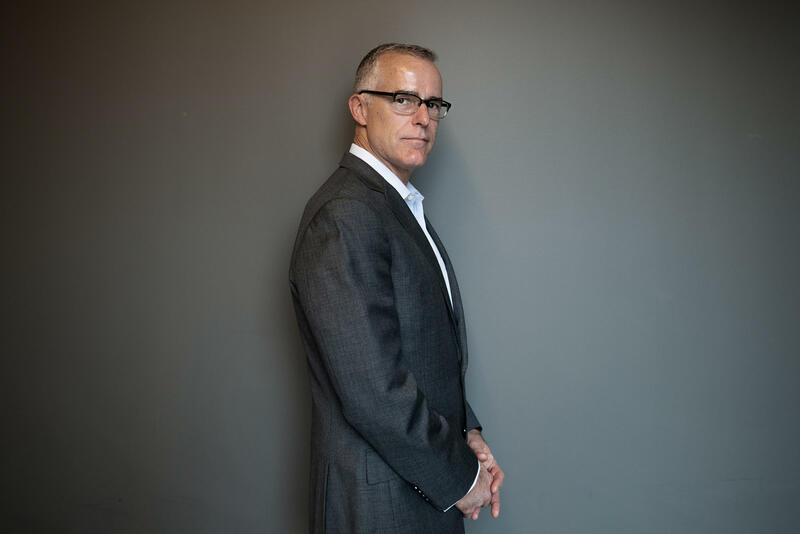 In his first public interview on the subject, McCabe told CBS' "60 Minutes" that he authorized investigations into President Trump. And he said that Deputy Attorney General Rod Rosenstein considered invoking the 25th Amendment to try to remove Trump from office. 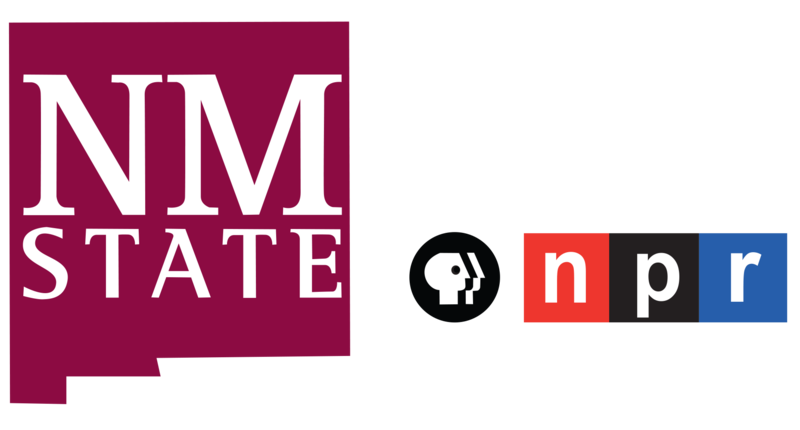 We'll be hearing from Andrew McCabe about his new book "The Threat" on this program Monday. In the meantime, we have NPR's senior Washington editor Ron Elving with us. He reviewed the book for NPR. RON ELVING, BYLINE: Good morning, Rachel. MARTIN: What exactly did Andrew McCabe say about the discussions around using the 25th amendment to remove President Trump from office? ELVING: In the book, he talks about how top officials in the FBI and the Justice Department were profoundly disturbed at the way that the president fired FBI Director James Comey back in May of 2017. And in that interview with "60 Minutes" you mentioned, McCabe says they were so disturbed and so concerned about what the president might do next that they discussed the constitutional means for restraining or even removing a president. And that led them to the 25th Amendment, which has a section that's never been used but which allows the vice president and a majority of the cabinet to remove a president they see as no longer fit for office if they can get two-thirds of the House and Senate to go along. MARTIN: In that same CBS interview, McCabe said that Rod Rosenstein, the deputy attorney general at the time, speculated about wearing a wire in meetings with the president. Has Rosenstein said anything about that, confirmed it - anyone else responded to this? ELVING: He has disputed that account. And in fact, McCabe is the only person to come out in public and confirm this story, which first appeared in The New York Times in September last. The Times report was based on unnamed sources, one of whom said Rosenstein might've been talking about wearing a wire in sarcasm or as a kind of grim joke. But Rosenstein put out a statement back in September, which the Justice Department reiterated yesterday, saying, he doesn't remember all this or at least not the way McCabe is describing it. MARTIN: Andrew McCabe, like his former boss James Comey, kept memos - a lot of memos of his interactions with White House officials, especially in the days after James Comey was fired. Are those memos in the book? ELVING: The book is a narrative. It's not just a collection of notes or memos. But the memos are the source of McCabe's observations and insights and judgments about President Trump, whom he portrays at times as a liar and a bully. MARTIN: What else do we learn from this account about the overall tensions between the FBI and the president? ELVING: The fundamental tension is between what McCabe sees as the bureau's independent mission - the FBI's independent mission - and Trump's understanding of that mission. In McCabe's view, Trump is not interested in the facts or the law but in who is on his team and who is not. MARTIN: NPR's senior Washington editor Ron Elving for us. Thanks so much, Ron. ELVING: Thank you, Rachel. Transcript provided by NPR, Copyright NPR.